It’s 3 pm and you’ve hit the mid-afternoon slump. Suddenly, hunger strikes. I could go for something sweet right now, you think. But how do you feed your cravings without sabotaging your diet? Researchers have found that late afternoon is when you are most likely to be hit with stress-induced hunger, and the blood-sugar roller coaster is even worse if you haven’t eaten a good breakfast and lunch. When cravings hit, it is almost impossible to say no the vending machine in the office, which is chockfull of sweet, salty and crunchy temptations. The good news is that you know the afternoon hunger cravings are coming, so you can be prepared to meet them head on. Fruit is the go-to healthy alternative for your sweet tooth. Try it fresh, dried, or even frozen for a sweet treat that also provides plenty of beneficial vitamins and antioxidants. 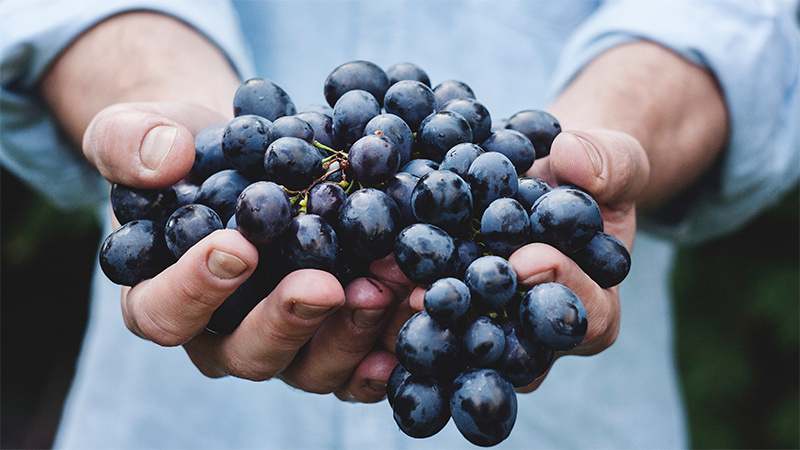 Whole fruit also contains fibre, which can help slow the release of sugars into your bloodstream and keep you off the blood sugar roller coaster. Adding nuts or yogurt to your fruit will help fill you up for even longer. You can still indulge in a salty craving while snacking healthy. 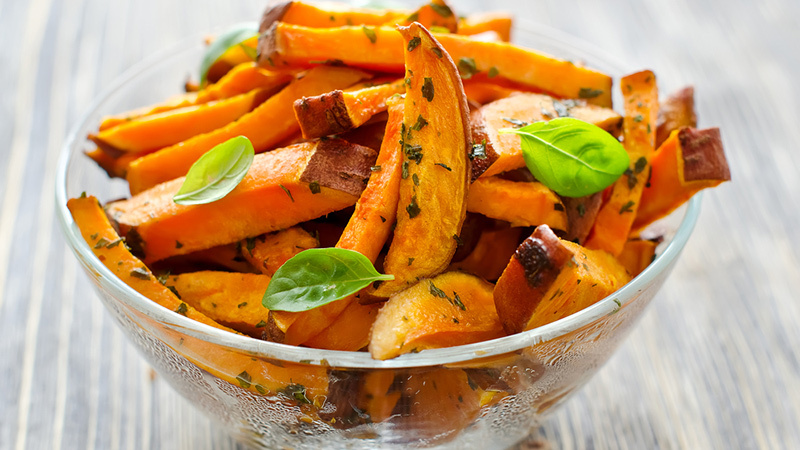 Opt for homemade, oven-baked vegetable chips or sweet potato fries over store-bought (or vending machine) chips. When you make a snack yourself, you can control the amount of salt you add to it. A piece of string cheese can also satisfy a salty craving. Nuts and seeds are more than great salad toppings — they’re are also a healthy way to handle a craving for something crunchy. 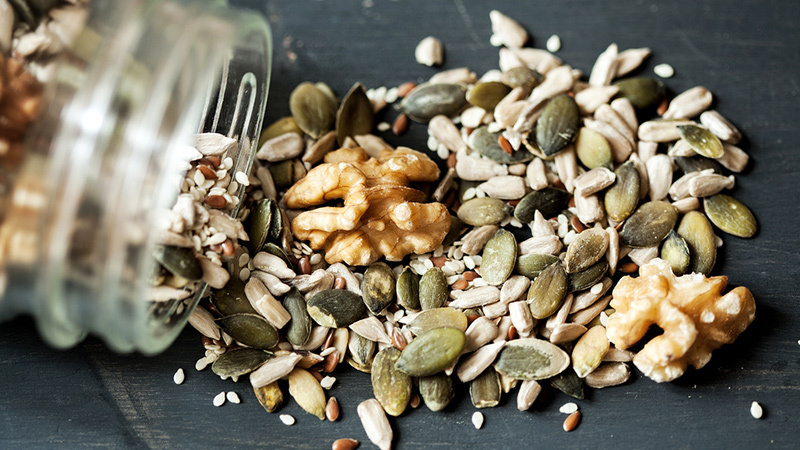 Nuts and seeds contain protein, heart-healthy fats, as well as essential vitamins and minerals. They can be high in calories, however, so portion out your snack size seeds or nuts at home and only bring a single serving to help you fight afternoon hunger without sabotaging your diet. 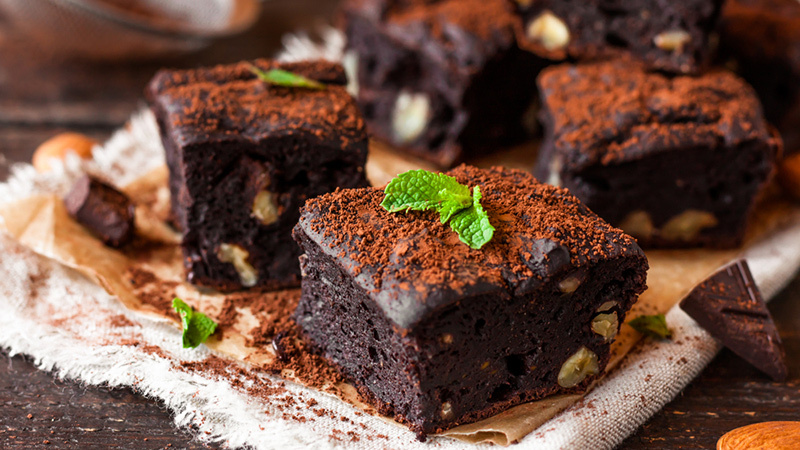 Chocolate is not necessarily a terrible thing. Real chocolate, known as cacao, is an antioxidant rich food that has plenty of beneficial nutrients. Chocolate takes a turn for the worse, however, when it is added to sugar and milk to become candy bars and other naughty treats. Pick up some cacao powder from a local health food store, and you can get all of the benefits of chocolate completely guilt-free. Add your cacao powder to your favorite protein shake recipe, or try a raw vegan recipe, such as this one from the Minimalist Baker, which uses dates’ natural sugars as a sweetener. When the stress of a work day gets you hot under the collar, you may be craving something cold and creamy to chill you out. But indulging in an ice cream treat isn’t the answer. Try some plain frozen yogurt instead topped with a few chopped nuts, some fresh fruit, or even a sprinkle of cacao powder and some honey. 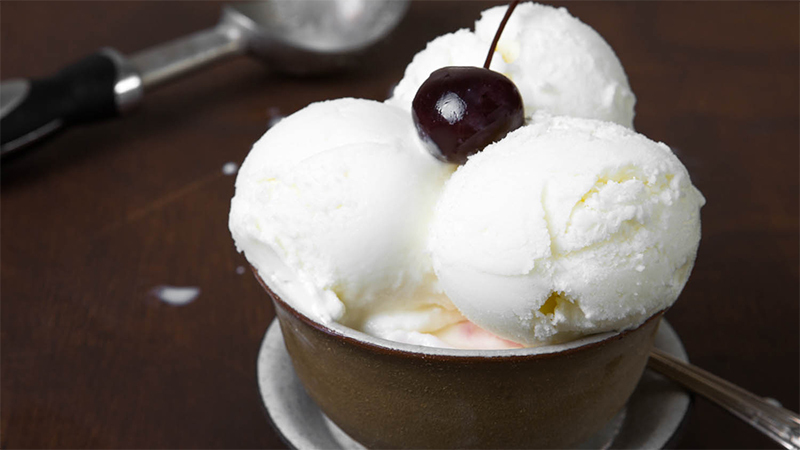 Read your labels carefully, because not all frozen yogurt is created equal; some may have just as much sugar and calories as the ice cream you’re trying to replace. Better yet, mash up frozen bananas for a sweet and tasty treat. Cupcakes, cookies, donuts, and other baked goods lurk in the office break room, patiently waiting for your afternoon cravings to take over your willpower. You can avoid this temptation, however, if you come prepared with a healthy snack bar. 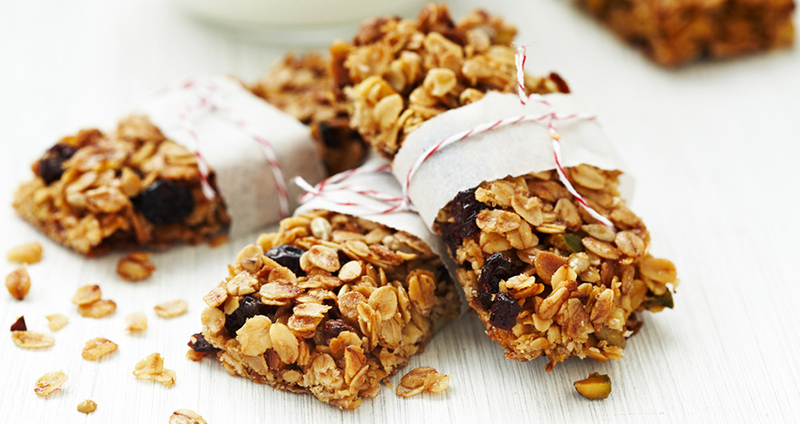 Use some snack bar savvy when choosing your healthy alternative. Some bars may have healthy looking wrappers, but a quick glance at the label reveals their true nature: more sugar than a candy bar, and a long list of unpronounceable additives. Look for a bar that has minimal ingredients, such as nuts and dates, and no added sugar. Better yet, make your own at home. Being prepared is the key to success, so keep a healthy alternative for your common cravings so you can survive the afternoon slump while still staying on top of your health goals.